Quit Wasting Time Chasing Things that Don’t Matter! There is no shortage in our society of messages extolling us to reach for things we don’t need at the cost of our precious time. What we need are messages encouraging us to spend more time with our kids, friends and family and taking better care of our physical and mental health! Comments Off on Quit Wasting Time Chasing Things that Don’t Matter! 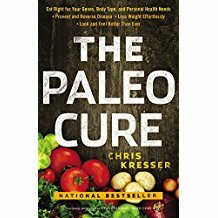 The Paleo Cure: Eat Right for Your Genes, Body Type, and Personal Health Needs — Prevent and Reverse Disease, Lose Weight Effortlessly, and Look and Feel Better than Ever!